This is a beautiful vintage Danish Modern dining table in teak imported by Johannes Andersen for Christian Linnenberg. The table expands to allow the use of two leaves each measuring 19.75. The leaves store conveniently when not in use, preventing any need to throw them in a closet or garage when unneeded (as noted in the photo of the underside of the table). At it's smallest, the table can comfortably seat six. Throw in the additional leaves and a dinner party of ten (twelve if you don't mind getting real cozy) would be no issue. Total flexibility for your space without eating up all your square footage day in and day out. It features expert design as noted by the way the sculpted legs meet the table top seamlessly. The grain is bookmatched on the leaves, meaning the grain carries consistently across the top even when extended. 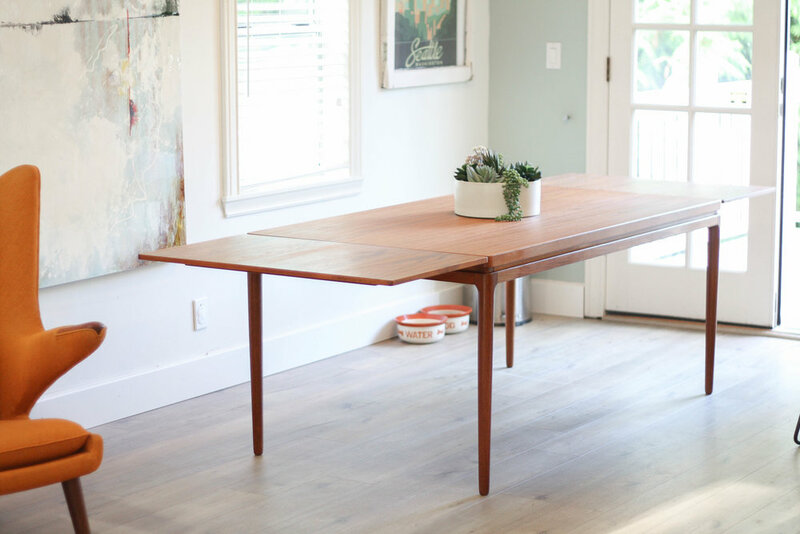 This table is rock solid, and the legs can be disassembled rather quickly to accomodate easy transport. 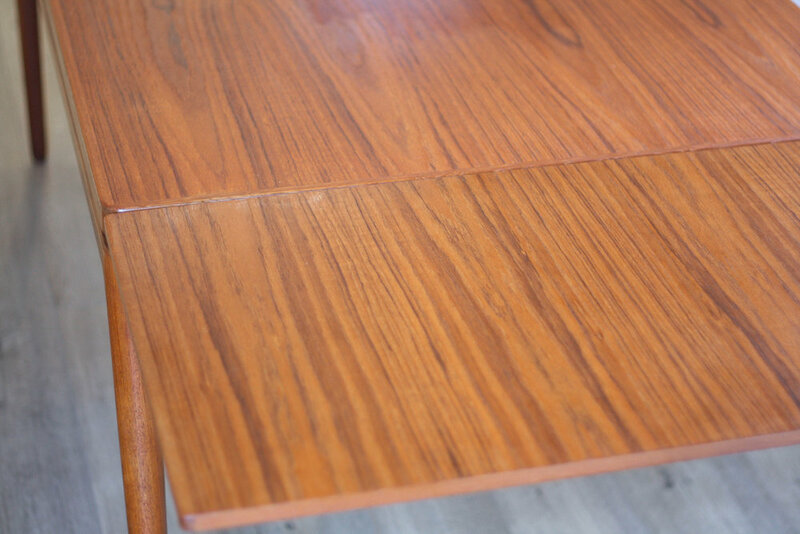 As is the case with any 50+ year old piece of furniture, there are minor imperfections to the table, one leaf has some minor knicks to the edge that are only noticeable when bend over specifically looking for them. The top is in virtually perfect shape with no imperfections worth noting. Just take a look at the photos and you will see the amazing condition and look of this piece. Total length with leaves is 104"